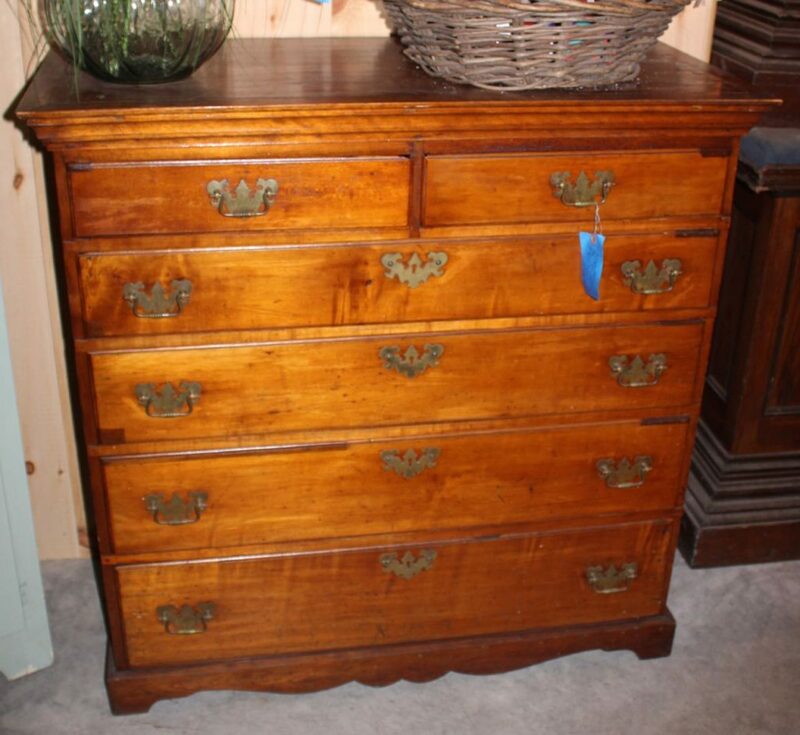 This early highboy base retains its original brasses and it’s original finish. Highboys are actually two separate chests that stack. Over the years, we’ve found that the sections are often separated. If the pieces aren’t stacked, people don’t always realize they are meant to be together. Or in some cases, family members dividing estates opt to give the top to one family member and the bottom to another.